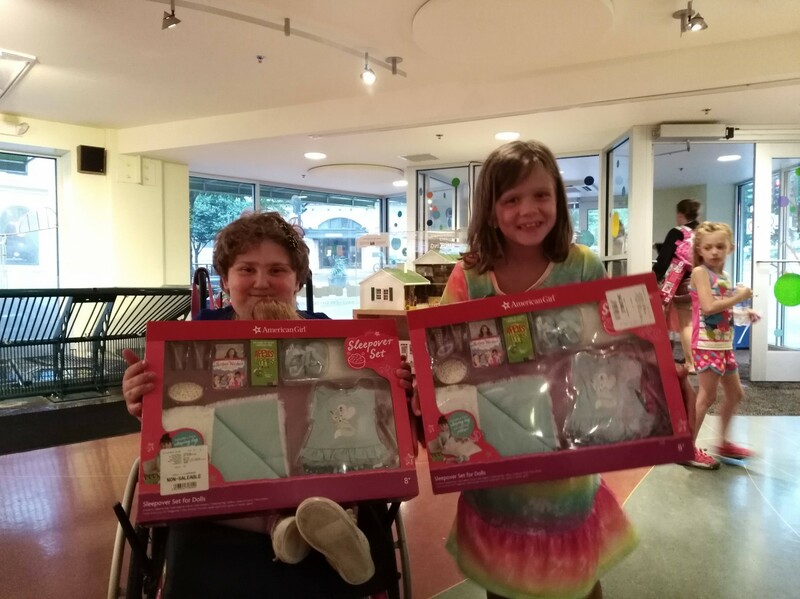 Namine went to the American Girl pajama party in Madison! For the past few years, Namine has asked less for stuff as presents and more for experiences. This year for her birthday, she got two: a week-long camping trip and a trip up to Madison for an American Girl (the doll) party. One of the “stuff” gifts Namine did get this year was an American Girl doll, but this one was special. Each year American Girl introduces a new doll, and Mia was introduced in 2008, the year Namine was born. There was no question in Namine’s mind as to which doll she’d bring to the pajama party. 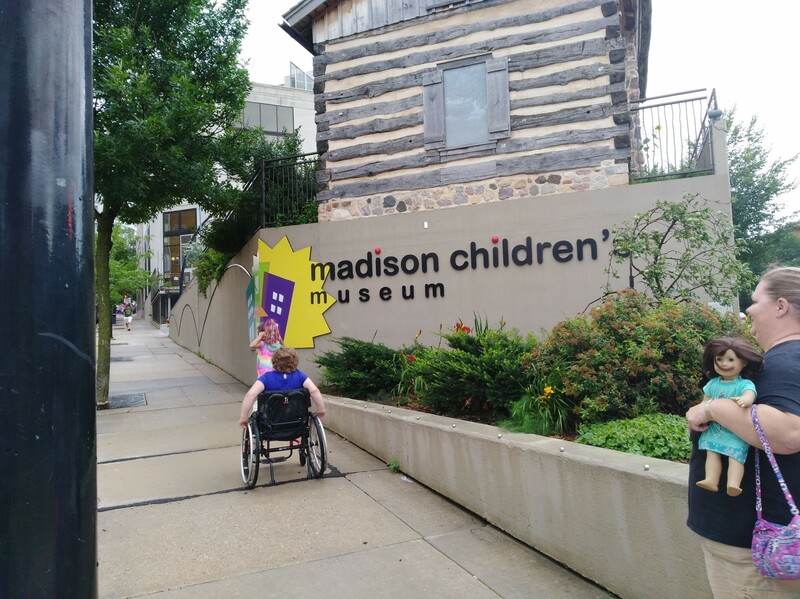 It wasn’t quite a sleep-over — the advertisements had made it seem like a lock-in, but it wasn’t — rather, it was a two and a half hour long free-for-all in the Madison Children’s Museum. Namine and her cousin had a great time, despite how noisy it was. The first activity of the evening was a scavenger hunt. As we entered the museum, it was explained to us that we would be searching for different American Girls. We soon found out that that wasn’t true: the hunt was for pictures of different girls. Our scavenger hunt led us to the second and third floors of the museum, the latter of which was across the rooftop and into an area with all sorts of plants and small animals. It was there that Namine got to hold a couple of baby chicks, much to her delight. After we finished the scavenger hunt, Namine and her cousin went off to do some of the other activities. One such activity was to make doll clothes; more specifically, to make a design to iron onto a doll shirt that each child had received when they entered the museum. Namine cut out her doll’s name in her favorite pattern. A parting gift for each girl was an American Girl sleepover set, complete with pillow, sleeping bag, and more. Namine may have been tired, but she was not too tired to squeal with delight as she inspected the set’s contents.